One of the challenges that in-wall speaker designers face is that they don't know how much air space is inside your walls. 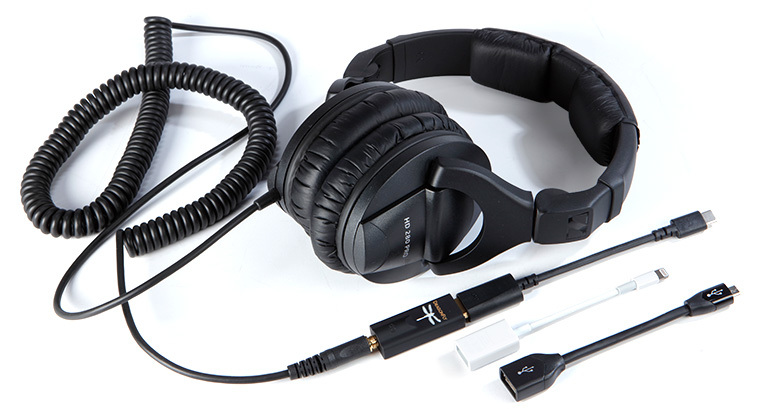 Monitor Audio has the perfect solution. 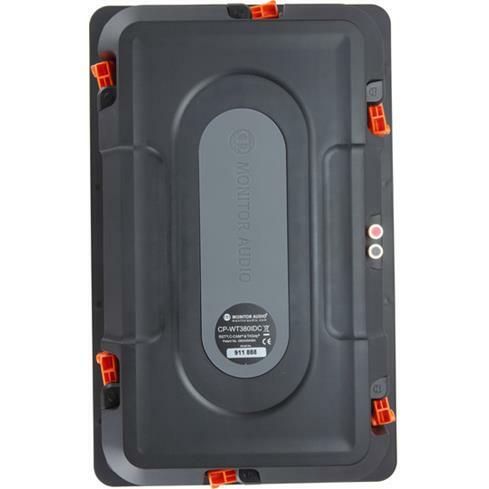 Their CP-WT380IDC has an airtight, built-in back-box that ensures fantastic performance. This carefully designed enclosure helps it deliver focused, well-balanced sound no matter what kind of space is behind it in your wall. 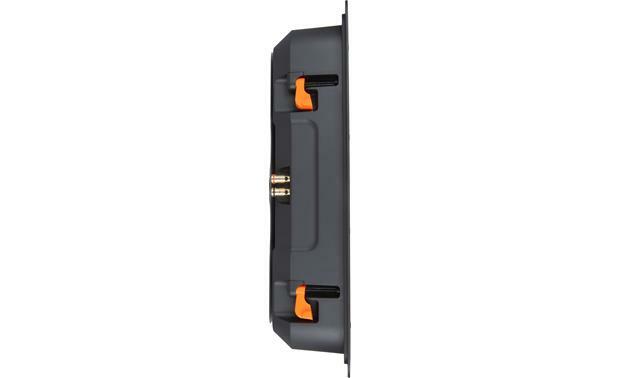 The CP-WT380IDC has a built-in, sealed back-box that ensures rich, balanced sound in any wall. 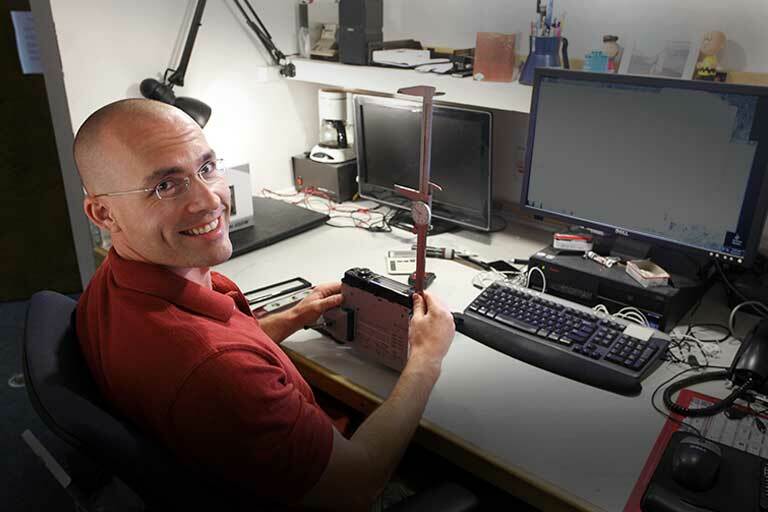 One of Monitor Audio's hallmark technologies is their C-CAM® driver material. It's a ceramic-coated aluminum/magnesium alloy originally developed by the aerospace industry for jet engine components. It's super-lightweight and strong, which allows the drivers to respond very quickly and precisely. 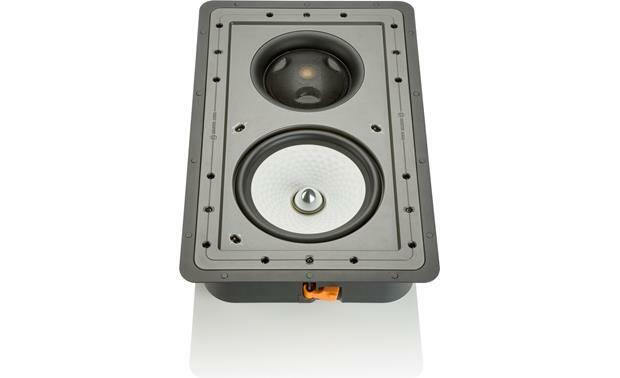 The CP-WT380IDC has three separate drivers, all made from C-CAM: a 1" dome tweeter, a 4" midrange, and a beefy 8" woofer. Monitor Audio mounted the tweeter and midrange driver together on a pivoting module. This lets you aim the mids and highs toward you for better clarity, detail, and spatial imaging. The tweeter is treated with an anodized layer of gold for smooth, extended high-frequency response. Monitor Audio's rotating-cam design makes your in-wall installation go smoother. Once you have the CP-WT380IDC in place, simply use a screwdriver to tighten each cam for a secure grip against the back of the wall. 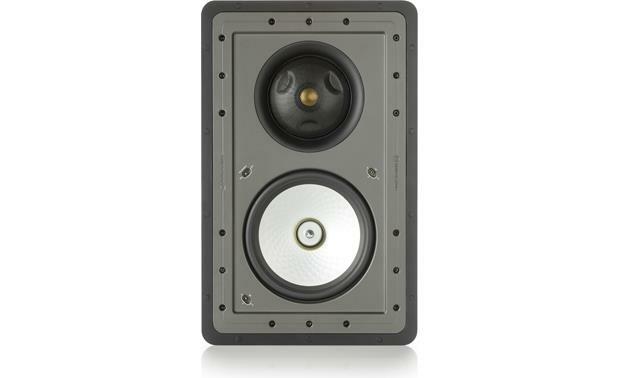 3-Way Speaker Design: The Monitor Audio CP-WT380IDC in-wall loudspeaker features an 8" C-CAM bass driver and a pivoting IDC module, housing a 4" C-CAM RST inverted midrange driver and a 1" C-CAM gold dome tweeter. This true 3-way design provide rich midrange detail, higher system output, greater power handling, and superior vocal intelligibility and sound localization. 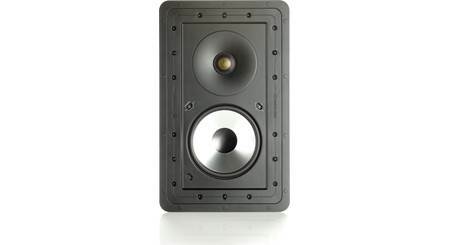 IDC Module: The Monitor Audio CP-WT380IDC in-wall speaker employs a unique pivoting Inverted Dual Concentric (IDC) midrange/tweeter module offering up to 18° of pivot. This allows for the in-wall speaker to be discreetly positioned and the sound to be directed toward the listening zone by pivoting the IDC driver module to maximize performance. With the IDC module installed, the Custom Install series in-wall speaker by Monitor Audio becomes a true 3-way design, offering superior performance and flexibility over typical 2-way or fixed angle speakers. Within the proprietary IDC module an inverted 4" midrange driver provides superior dispersion while enabling the midrange cone and tweeter dome assembly to be set as far forward as possible, allowing the clear acoustics of the desired listening zone and reducing undesirable diffraction effects. 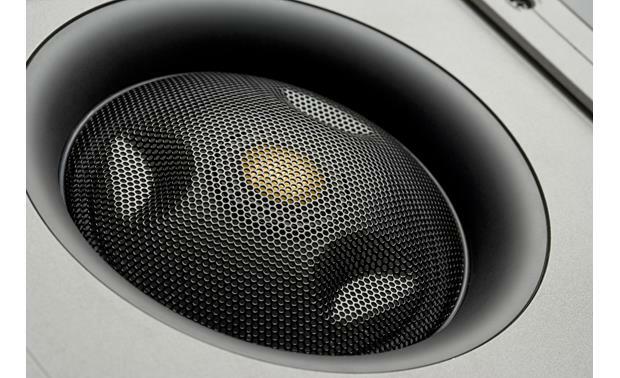 It's impossible to avoid diffraction effects from conventional two-way designs, which locate the bass driver 3" to 6" behind the speaker grille. C-CAM Technology: C-CAM drivers are used throughout the CP-WT380IDC in-wall loudspeaker, providing coherent tonal balance and sonic signature across the entering audio frequency spectrum. RST (Rigid Surface Technology): The CP-WT380IDC in-wall speaker's inverted midrange driver combines Rigid Surface Technology (RST) with C-CAM cone woofer design for a stronger, lighter weight cone. The Rigid Surface Technology (RST) cone profile was inspired by the Japanese art of Origami, which demonstrates how a very light material (like paper) can be strengthened and made more rigid by making small and precise folds on it surface. Developed and perfect using sophisticated computer modeling (Finite Element Analysis), the Silver series midbass drivers have been strengthened by a pattern of dimples. RST significantly increases cone rigidity, allowing the radiating surfaces to resist mechanical bending forces, which can twist the shape of conventional driver cones to produce distorted sound. 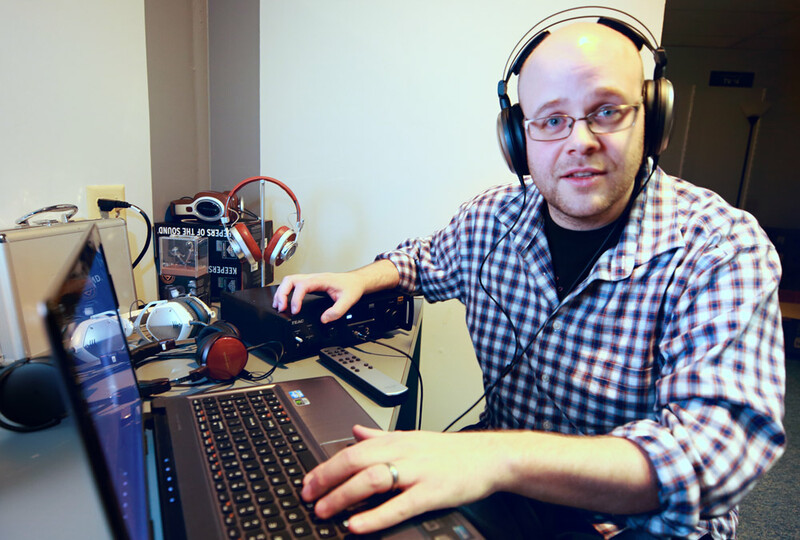 The strengthening effect of RST means that Monitor Audio can use thinner, lighter and more responsive C-CM cones which provide speed and accuracy while offering greatly reduced distortion. The RST patterns also help to displace standing waves that can propagate on the cone's surface. Sealed Design: The Monitor Audio CP-WT380IDC's airtight enclosure design protects each precision-engineered driver system against the accumulation of damaging dirt and dust. Trimless Grille: The CP-WT380IDC in-wall speaker features a "Trimless" steel-mesh grille that is held in place by high strength Neodymium magnets covering the entire speaker for a true trimless, stealth look. The grille is paintable to blend with the living environment; additional scrim material is provided for trouble free painting. 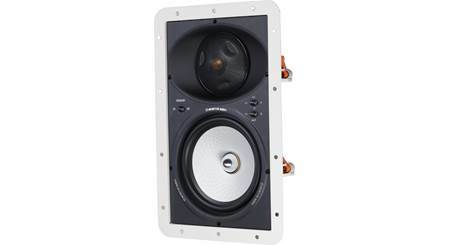 Note: This Controlled Peformance series loudspeaker can only be fixed into drywall with a thickness of up to 1.75". 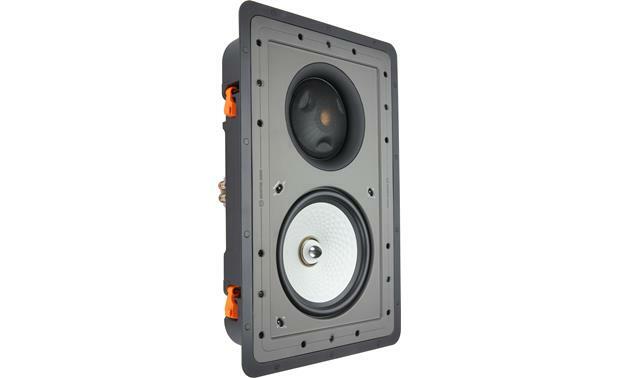 Spring-Post Terminals: The Monitor Audio CP-WT380IDC is fitted with two spring-post terminals to connect your speaker wire. The spring-post terminals which accept bare wire (up to 10AWG) and angled pin-connectors. 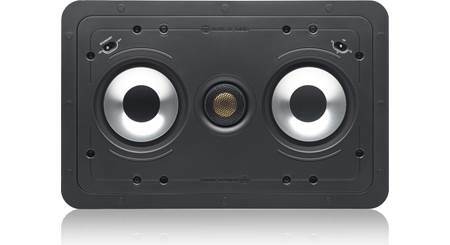 With a pair of CP-WT380IDC speakers for fronts, would a subwoofer still be valuable in a home theater application? Would it better to go with a Silver 350 or a matching CP-WT380IDC for the center channel? Does the midrange/tweeter module in the CP-WT380IDC pivot in all directions, or only left-to-right? Thanks! I'm using one as the center channel along with the matching left and right channels. Voices and dialogue are very clear and precise. The speaker is too tall to mount sideways between standard 16" stud spacing. 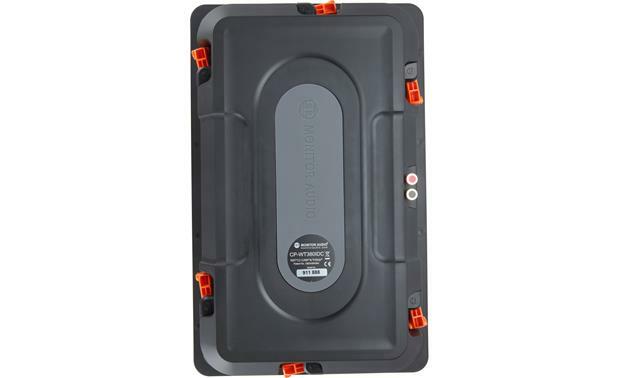 Searches related to the Monitor Audio CP-WT380IDC Controlled Performance Series 3-way in-wall speaker with built-in back-box.